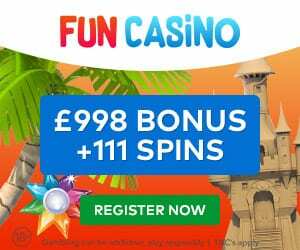 Blackjack Card Game | Top Casino Bonuses and Online Blackjack Tables! Of all the favourite card games going, Blackjack (or 21 card game as it’s sometimes known) is easily the second most popular after Texas Hold ‘Em Poker. Its simplicity makes the 21 card game very addictive, and to win is all down to probability. Don’t let that put off! This card game is a game of chance. However, you can still put in some effort to swing fortune in your favour. Therefore giving you a much better edge at winning a Blackjack card game. 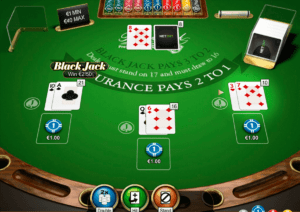 Also, many online casino sites offer bonus blackjack payouts, so it’s worth learning how to play Blackjack at home then trying out Blackjack online. Once you’ve honed your expert Blackjack strategy, why not teach your friends how to win at online Blackjack too? Before going any further, firstly make sure to check these Blackjack rules. Blackjack card values are important to understanding the game. This also ensures you don’t lose money on any silly mistakes. 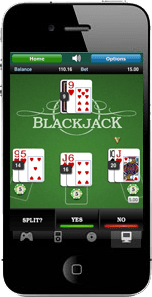 Although Blackjack Card Game rules can seem a little complex, it’s actually relatively easy to play. 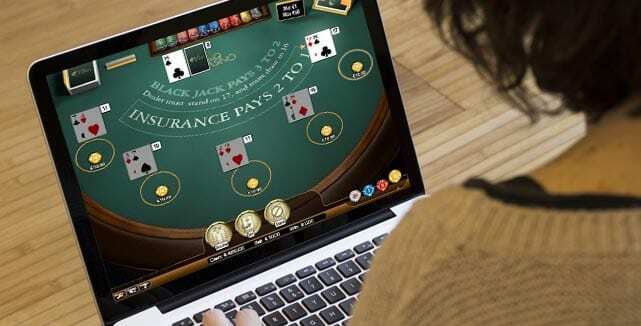 As a result, we’ve stripped it right back for our readers with our handy how to play Blackjack for beginners online guide. A Blackjack Card Game may use 1 – 8 decks each containing 52 cards. Blackjack card values are fairly straightforward. Aces can either be valued as an 11 or 1, 2 – 9 according to pip value, and 10s and face cards are 10. The hand value is the total made up by the individual cards. Apart from a Blackjack, which is the highest hand (made up of an Ace and any 10-point card) – it’s an even stronger hand than all other 21 sides. Once players have placed their bet, the dealer gives two cards to each player and two for himself. One of his/her cards will face up, and the facedown card is called the hole card. 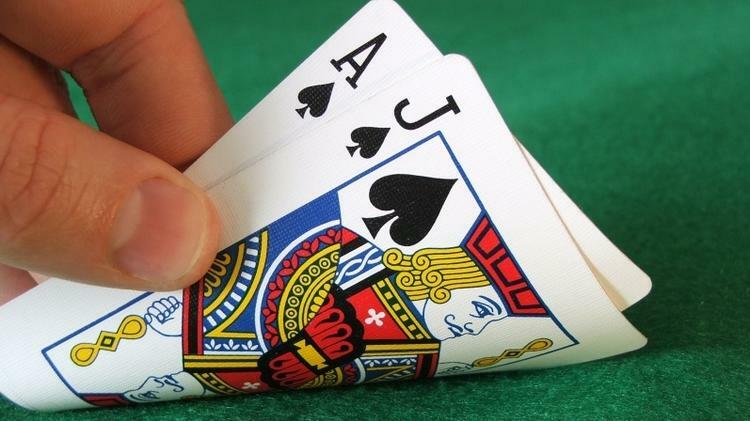 When the dealer shows an Ace, he/she can offer a side bet (referred to as ‘insurance’). It’s a side wager that pays 2 – 1 when the dealer’s hole card is a value of ten. 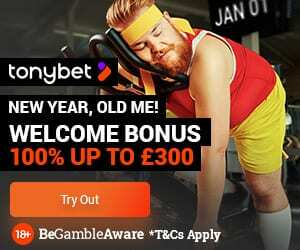 They are optional and can’t go over half the original bet. If the dealer has an Ace or ten and has offered insurance through his Ace – then he will peek at his face-down card to determine a Blackjack or not. If he does, then he’ll turn it over prompt. Also, if the dealer has a Blackjack, then all bets (apart from insurance) fold unless a player also has a Blackjack. The dealer will then settle insurance wagers. Stand: Stays in the game with cards. Hit: Player asks for another card (plus more) – if the hand goes over 21 then the player loses. So play steady! Double: Player doubles a bet and gets one more card. Split: A player has a pair or any two ten cards, then he/she can double the bet and separate their cards into two individual hands. Each ticket gets a second card automatically. The player can then double, hit or stand. However, when splitting Aces, each Ace will get only one card. Occasionally, doubling after splitting is not allowed. However, if a player gets a ten and Ace after splitting, then it’s valued at 21 (but not a Blackjack). It’s also possible for the participant to keep re-splitting up to a total of four hands. Also, sometimes Aces aren’t allowed. Surrender: the player gives up half his/her bet, while keeping the other half, and doesn’t get to play out the hand. 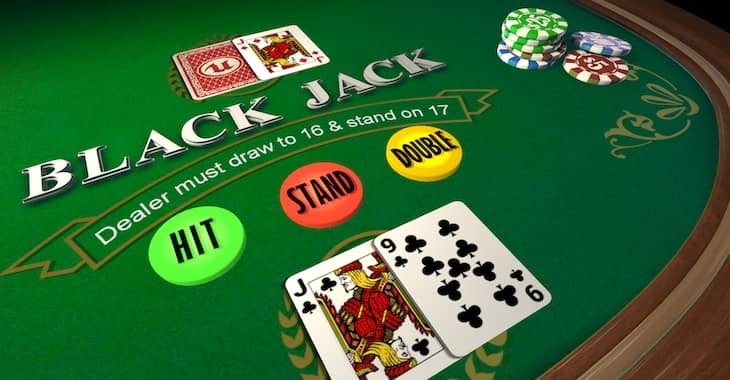 It’s an option only available for the two initial cards – however, in some Blackjack rules, it isn’t allowed at all. After each participant has had their turn, the dealer will turn over his hole card. If the dealer has sixteen or under, then he/she gets another card. A unique situation is when the dealer has an Ace and any cards totalling a six (referred to as a ‘soft 17’). In some card games, the dealer can also hit a soft 17. When the dealer goes over 21, then any player not already bust will win the hand. If the dealer doesn’t bust, then the higher value total between the dealer and player will win. Winning bets pay money, apart from a winning player Blackjack usually pays 3 – 2. In conclusion, we hope we’ve given you a thorough understanding of Blackjack Card Games and more importantly, your chances of winning. It will always be a popular casino card game.